TV Whatever Happened to the Heroes? Recently involved in performance poetry in London, reading my own poems at the Poetry Cafe and other venues with Bloomsbury Voices.Have also read some of my poems on BBC Radio Bristol as a guest on The Morning Show with Susan Osman, and in August 2011 as a guest on Listen With Marj on Radio St Austell Bay. 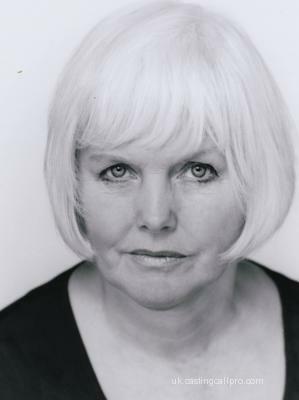 Professional actress since 1961 including 2 years at Bristol Little Theatre, and some 30-40 years' experience in theatre, in rep, on tour and the West End, plus some film and television.